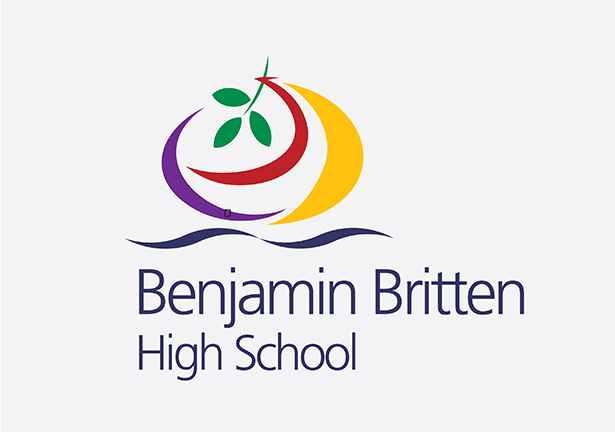 Benjamin Britten High School is a specialist technology college and community comprehensive situated in Lowestoft, Suffolk. Named after one of the town’s most famous sons, the original logo (created in 1979) was themed on one of his works ‘Noah’s Flood’. 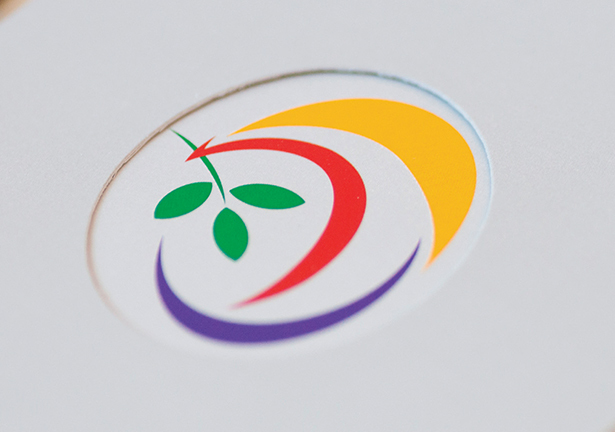 The client asked us to create a vibrant new identity to reflect the school’s ‘fresh way of thinking’. 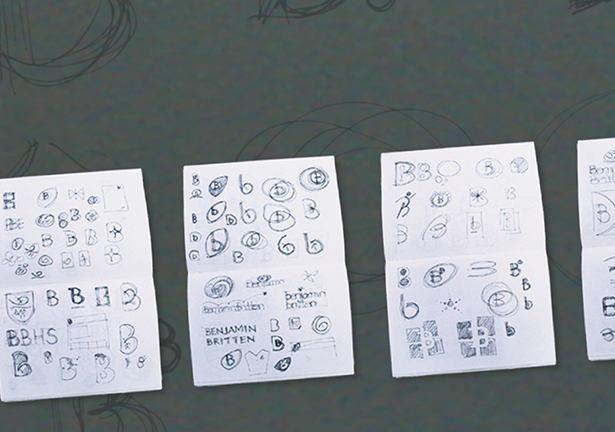 A modern and distinctive identity was created that re-invented the original concept with a modern twist. 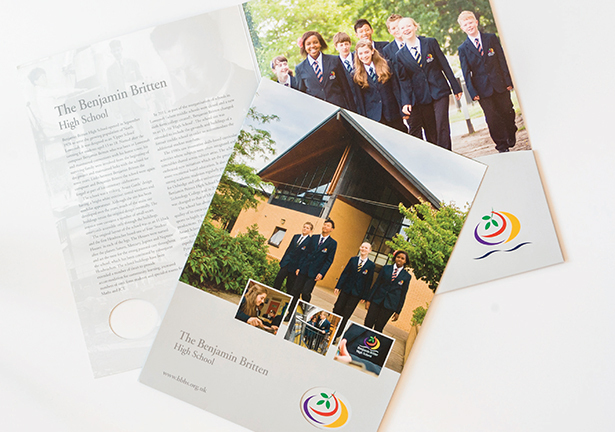 For the third consecutive year we have been commissioned to produce the Benjamin Britten School prospectus. 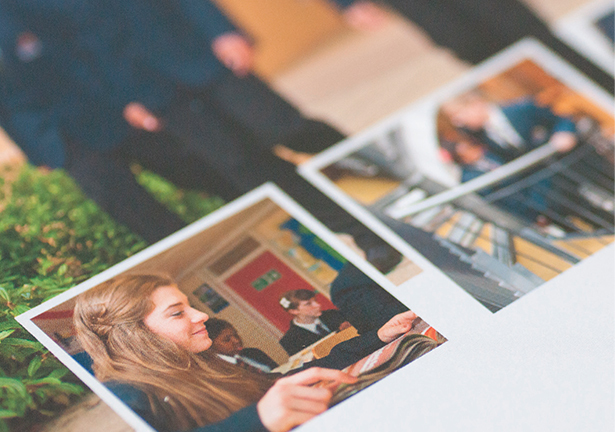 This year we’ve introduced a young and vibrant look utilising striking house colours and graphics. We have also created a set of display panels continuing the theme and designed to add extra impact at parent’s open evenings and we also designed and created business cards for the teaching staff.